NVIDIA’s Turing-infused Quadro RTX 4000 sets out to be a super-fast performer for its $900 price tag, but it also brings a couple of tricks. 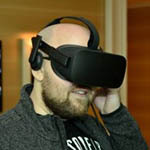 Those include some RTX special features, like Tensor and RT cores, which already come in addition to architectural enhancements that helps the card leap far ahead of the older P4000. Since our V-Ray projects don’t cooperate with Radeon and Radeon Pro cards (more here), we’re sticking to Quadro and GeForce for this look. NVIDIA’s Quadro RTX 4000 is seen to be a huge upgrade over last-gen’s P4000, cutting render times nearly in half. 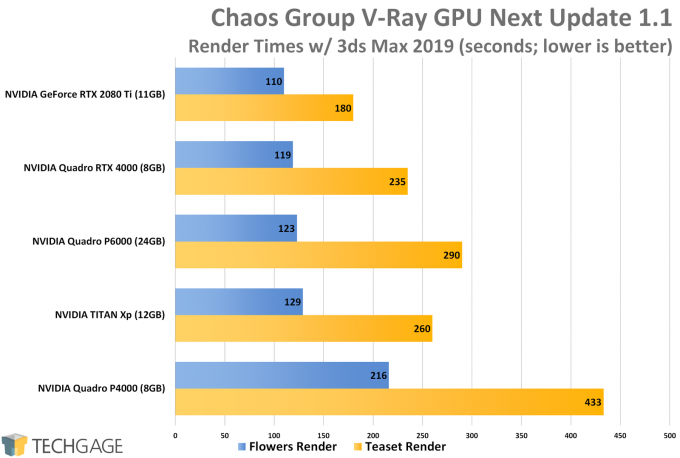 I don’t believe RTX’s ray tracing cores are used at all in rendering, so these performance improvements owe their thanks to NVIDIA’s Turing architecture. 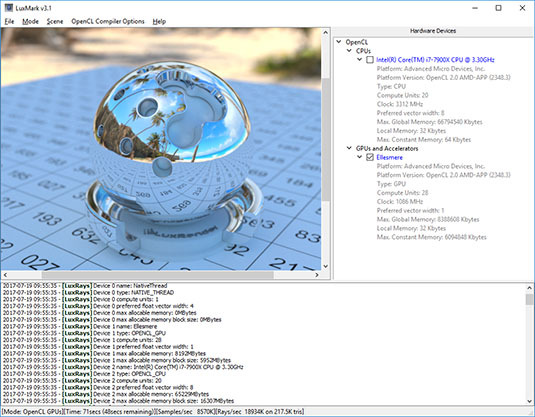 On the topic of RTX, the RT cores can in fact be used with the AI denoiser, but currently, it is suitable only for interactive design, not final renders. It won’t be a surprise to anyone that RTX 4000 is faster than P4000, but some might be surprised to see RTX 4000 beat out last-gen’s top (regular) Quadro, the P6000. That GPU of course has three times the VRAM, but from a pure performance standpoint, the gains are seriously impressive. The RTX 2080 Ti result gives us an idea of what to expect out of the Quadro RTX 6000. 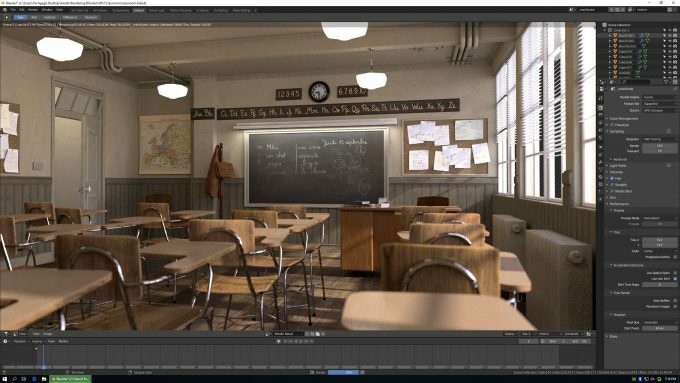 While V-Ray can take advantage of RTX via the built-in denoiser, Redshift is holding off its support until 3.0 arrives. Whereas V-Ray highlighted an enormous gain moving from Pascal to Turing, Redshift doesn’t exhibit the same kind of gain. The RTX 4000 performs similarly to the RTX 2080 Ti, which we think highlights that our project might not be as demanding as we need it to be. However, there is some clear separation between those big cards and the last-gen TITAN Xp. In the usual match up against the RTX 4000 and P4000, the new card delivers some hearty speedups. 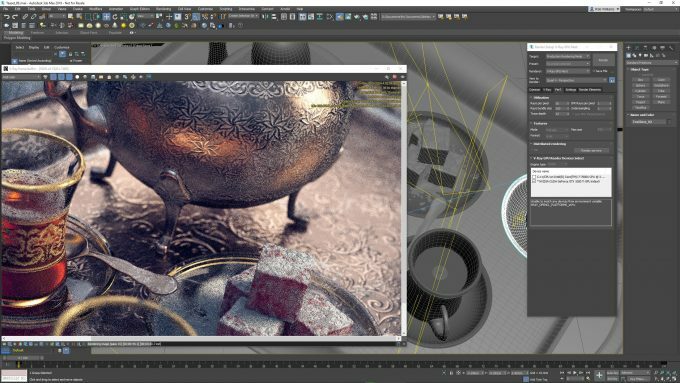 Similar to Redshift, OTOY is saving its RTX support for a later date. To be specific, it’ll come with Octane 2019, which has a tentative release date. Whenever it does happen, OTOY will be releasing this benchmark to reflect performance for both RTX on and off. 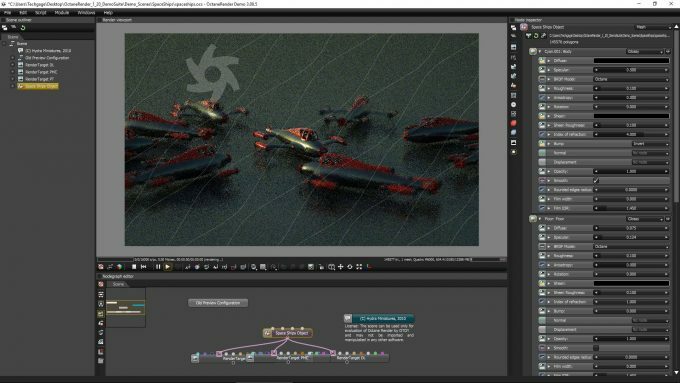 When it hits the variety of platforms it supports, Octane’s RTX enhancement should speed up render times significantly. Even without those speedups, Turing helps RTX make a big difference, with the RTX 4000 falling not too far behind the last generation P6000, and leaping far ahead of the P4000. 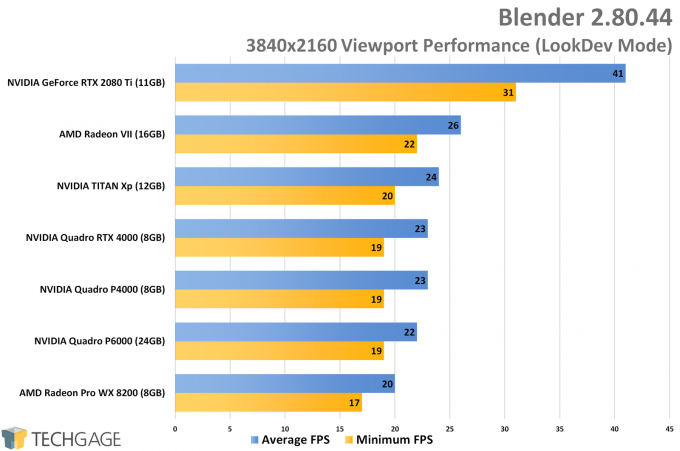 We recommend checking out our Blender 2.8 performance deep-dive for additional info. 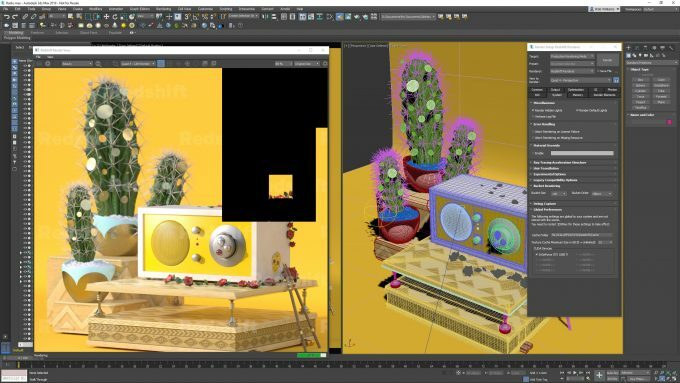 Unlike rendering, Blender’s viewport performance tends to jump around, with higher resolutions proving far more grueling for graphics hardware than lower ones. At 1080p, the RTX 4000 handles itself well, placing just behind the 2080 Ti gaming card, which sports more CUDA cores (and not to mention more VRAM). That effort was enough to surpass the last-gen TITAN Xp. At 4K, the pain gets real, and it takes a 2080 Ti (among these GPUs) to deliver a semi-reasonable level of performance. It’s important to note that LookDev isn’t usually constantly used, so its lower frame rate isn’t a killer. If this performance carried over to the solid shading and wireframe modes, it’d be an issue. Instead, all of these GPUs could handle those modes just fine, at 4K/60. 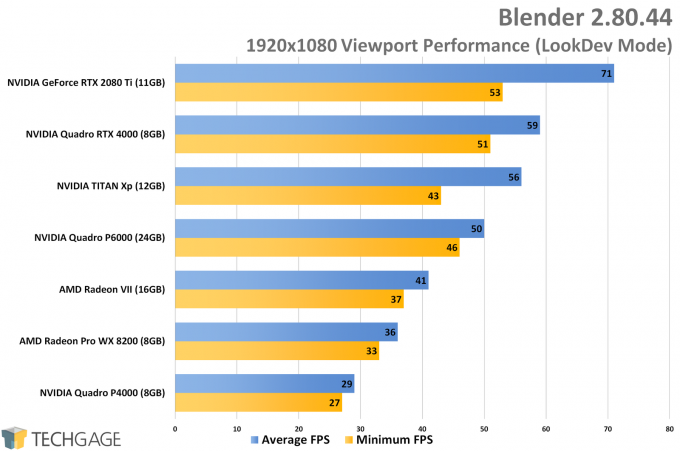 For rendering performance, the more powerful the GPU, the better the performance. The 2080 Ti unsurprisingly sits at the top. These results actually scale according as accurately as we’d expect them to if we simply had to guess what the results would look like. Since it’s worth highlighting again, the RTX 4000 outperforms the older P4000 by a very wide margin here. 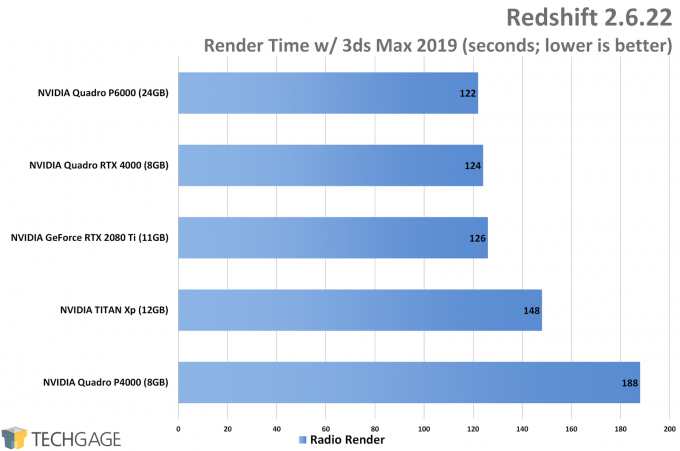 With the launch of the Radeon VII, AMD specifically called out improved LuxMark performance, which is interesting on account of the fact that it’s not one we hear about too often. 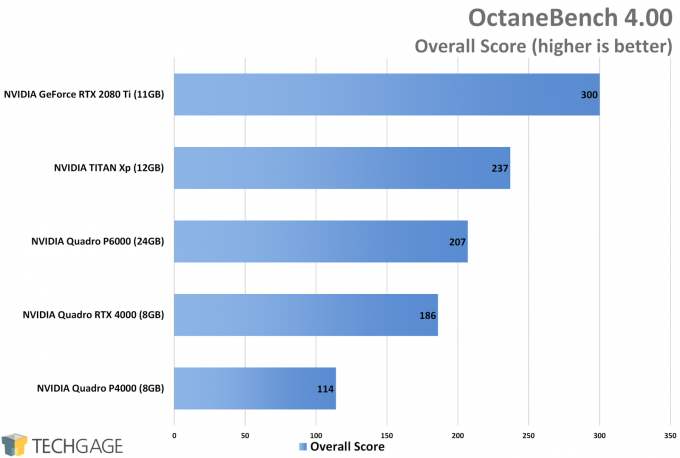 Well, the results here explain well why AMD promoted this tool, as the VII soars ahead of everything else – with an exception. 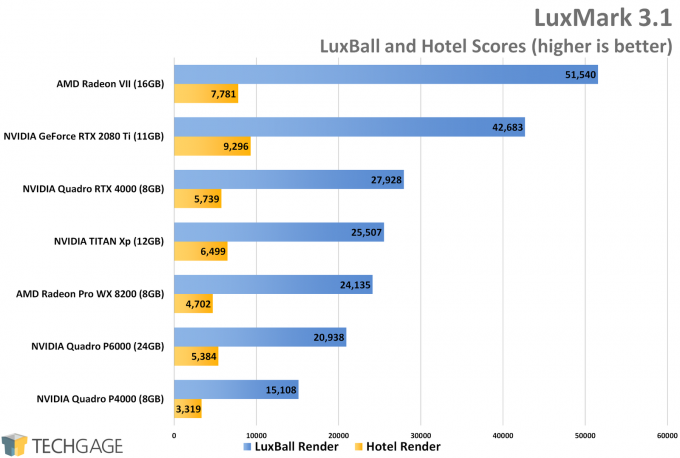 The 2080 Ti handles the more complex hotel scene better than VII, hinting that the Radeon card’s performance advantage isn’t going to be guaranteed. 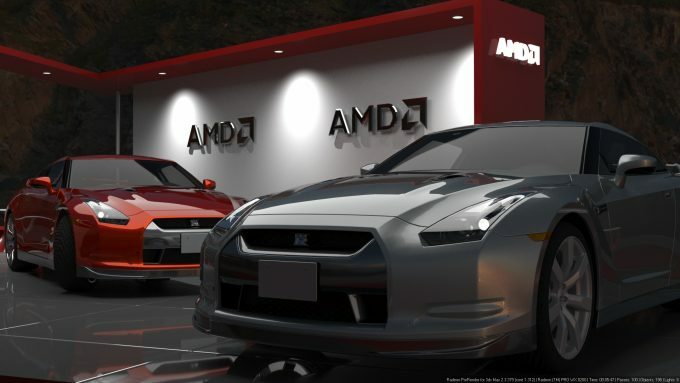 It’s an interesting result, since AMD also has the same kind of odd performance behavior on its Ryzen CPUs in KeyShot, where the simpler car render performs fine, but the interior scene falls well behind Intel. Something about our chosen interior scenes just don’t jive as well with AMD as the others right now. 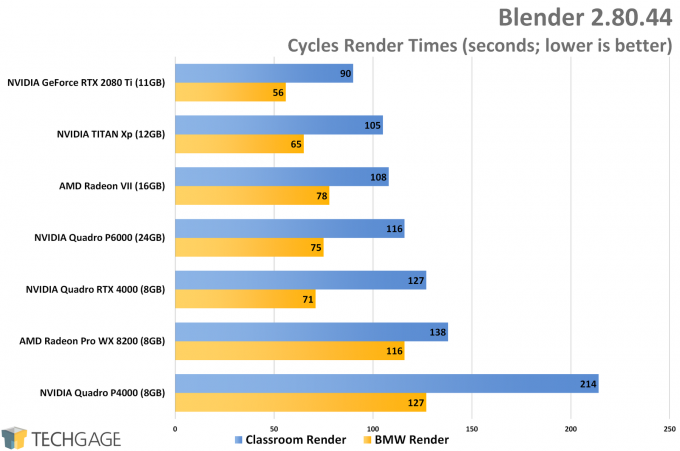 Much to AMD’s chagrin, NVIDIA’s graphics cards perform extremely well in its Radeon ProRender. Based on the performance shown here, rendering performance on Turing is unbeatable, with the lower spec’d RTX 4000 falling behind the technically more powerful Radeon VII. 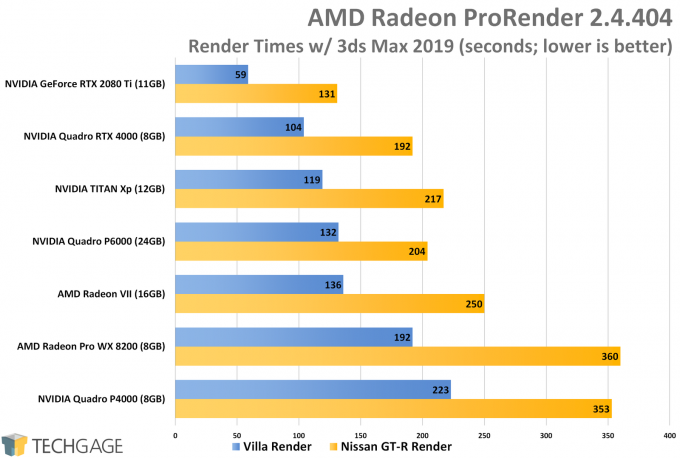 We wouldn’t say this is a reason to avoid AMD cards for ProRender, as rendering performance isn’t everything, but, if you plan to use interactive rendering, that is still rendering, so you are going to want the most powerful GPU your wallet can handle.